CBD oil is gaining traction – but consistency is key. Just three months ago, and for the first time ever, the FDA approved the sale of a cannabidiol(CBD)-based medicine. Researchers and recreational users alike considered this approval to be a big step. CBD is one of the main compounds found in cannabis – unlike THC, however, it doesn’t cause psychoactive effects. Even so, CBD is still technically classified by the DEA as a Schedule 1 substance (i.e. one with no currently accepted medical use), even if marijuana is legal in your state. However, based on the FDA’s new approval, it’s possible this classification could change. Which could mean opportunities for even more research. Already, some studies suggest CBD could lessen anxiety, help with pain, reduce the proliferation of breast cancer cells, or even – as was seen in a recent study from King’s College London – reduce abnormal brain function in people with psychosis. A quick Google search yields nearly 97 million results touting the advantages of CBD. Youtube has hundreds of thousands of videos of people sharing stories about how this versatile compound has supposedly altered their lives for the better. Despite what might seem like compelling anecdotal and research-based evidence, scientists are still divided when it comes to CBD, its legal classification, and its potential benefits. Many of these studies on the benefits of CBD are somewhat short-term human studies, or derived from animal research (which doesn’t always mean the same results will be seen in humans), according to NPR. 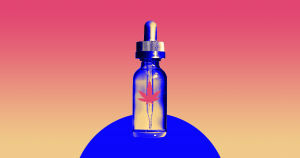 Dr. Esther Blessing, for example, a psychiatrist and researcher at New York University, tells NPR that more clinical trials are needed with CBD to draw firm conclusions about it’s effectiveness. This is especially true since supplements aren’t regulated in the same was as pharmaceuticals –which means that quality and consistency vary across CBD products. To address this concern, CBD provider Mellowment has become a standard in the industry by using natural, ethically-sourced ingredients that serve its broad customer base. Taken daily, “Mellowment packs a multitude of benefits (in addition to anxiety and pain relief) including anti-seizure properties, and relief from inflammation, pain, anxiety, migraines, and irregular sleep” according to the Mellowment site. Mellowment offers top-quality supplements that range from low to high impact which allows consumers to manage their stress or pain accordingly. If, for example, a consumer is having a busy or stressful work week, (s)he might opt to take the “low-impact” nootropic: a non-drowsy formula that may positively affect with cognitive function and anxiety. If a consumer is recovering from an injury, on the other hand, (s)he could be better served by the “high impact” pill that could help relieve severe pain and inflammation. With the rise of personal, online testimony, cannabis is quickly gaining traction. 30 states have already legalized medical marijuana. It is estimated that CBD oil is a $1-2 billion industry already, and growing fast. Perhaps CBD’s impassioned adoption will lay the groundwork for future research. A non-editorial team at Futurism has partnered with Mellowment to create this article, and we may receive a percentage of sales from this post. Mellowment is owned in part by an employee of Futurism. This supplement has not been evaluated by the FDA, and is not intended to cure or treat any ailments. Do not take CBD products if you are allergic to any of the ingredients in the product you are consuming. Tell your doctor about all medicines you may be on before consuming CBD to avoid negative reactions. Tell your doctor about all medical conditions. Tell your doctor about all the medicines you take, including prescription and nonprescription medicines, vitamins and herbal products. Other side effects of CBD include: dry mouth, cloudy thoughts, and wakefulness. You are encouraged to report negative side effects of any drugs to the FDA. Visit www.fda.gov/medwatch, or call 1-800-FDA-1088.